Believe it or not, the unofficial end of summer (Labour Day long weekend) is just a few weeks away. Going back to work (if you enjoyed some time off in summer). Family holidays (Thanksgiving is October 8, and Christmas/New Year’s will soon follow). Add it all up and it means you’ll have less time than usual to visit your storage unit at Ten Mini Storage and check on your belongings. The next time you’re visiting your storage space (and before things get too hectic), make certain you follow these timely tips. And while the price is right, the quality of those boxes may not be suited for long-term secure storage. Check those boxes for tears, rips, holes, or even dampness (for example, if food was previously placed inside them). Do they look weak and worn? If so, replace them with sturdy, reliable boxes which you won’t have to worry about. When it comes time to take things out and place things inside your self-storage, you want it be as easy as possible. See where you have your belongings currently situated. Make sure you have enough room to move around and safely and quickly access everything you need to. When you first packed your storage unit, everything you placed inside it were items you wanted to keep. Do I want to keep this object? If so, then keep it. Can someone else use this item (because I won’t)? If so, either sell it or donate it. Is this thing no good to anybody? If so, get rid of it. Pretty soon, you’ll find more room inside your storage space for you to store additional items which are important to you. And if you can sell a couple of things, that’ll end up in some extra money in your pocket. Wait a minute. If your items are inside a dry unit, why do you have to worry about the weather? 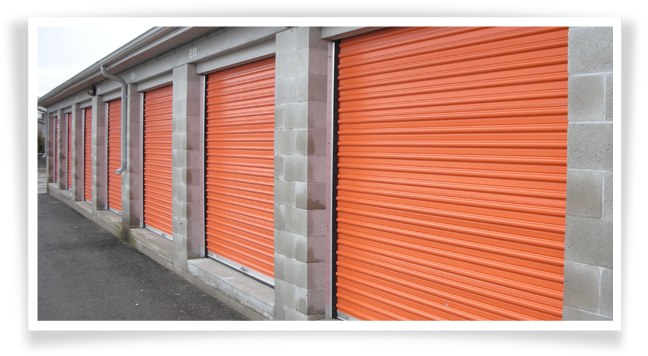 Well, if you have an unheated storage unit, it can get pretty cold inside once the temperature drops outside. You may want to take some extra precaution for your belongings. For example, you may want to wrap any electronics inside a think tarp or similar kind of moving supply. Or if there’s anything you don’t want to sit on the floor, you should consider placing it on a skid or pallet. No matter what the season, a secure storage space will keep your belongings safe from the elements. And with a unit from #10 Mini Storage, you’ll be able to access your items anytime – day or night – all year long. That way, even when life gets super busy, you still have options when it comes to visiting your storage space. Look at our available storage unit sizes and pricing information. Or contact us with any questions you may have.